BRYAN EATON/Staff photo. 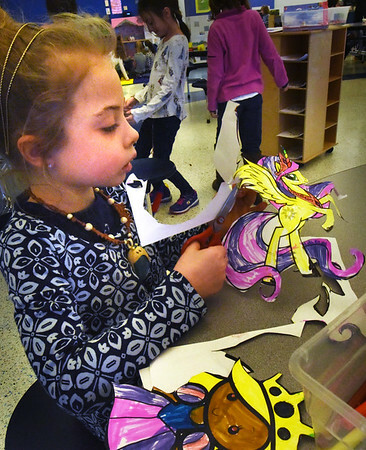 Maggie King, 6, cuts out her painting of a pony princess from the story My Little Pony on Tuesday afternoon. She was in the Newburyport YWCA's Afterschool program at the Bresnahan School.